New Europe Books, 9780990004349, 336pp. It is 1968. Across America, citizens march for social reform and an end to the Vietnam War. Amid all this, Surya Green--a New York-born, self-absorbed, modern young woman--is a student at Stanford University, blithely pursuing a graduate degree in communication. Her view of life's purpose unexpectedly starts to expand when she says "Yes" when her Stanford film mentor selects her for a writing job at Zagreb Film in Yugoslavia. Family and friends marvel at her courage, or foolishness. The Zagreb studio may be the renowned producer of the first non-American animated film to win an Oscar, but it is in a country most Americans fear and reject as "communist." Green has no idea that her stay in Yugoslavia will ultimately take her beyond national borders to the outermost limits of her mind. Although penned in the first person against the backdrop of Tito's Yugoslavia in historic 1968, Once Upon a Yugoslavia is, paradoxically, most timely. 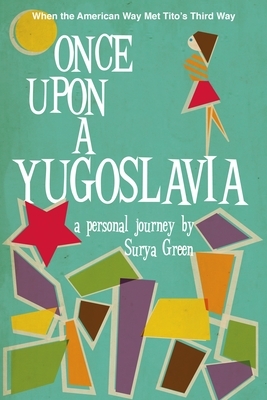 The global economic crisis has compelled people to question excessive consumption and redefine success and the good life while embracing new lifestyle priorities--just as Yugoslavia required of Surya Green decades ago. Once Upon a Yugoslavia addresses this present-day longing while also offering a lively history lesson. History books have objectively described the former Yugoslavia, but Once Upon a Yugoslavia gives personalized look at the everyday lives of people in pre-1989 Eastern Europe that shows how the experience transformed one young woman's American Dream. Chronicling the sights, sounds, and ups and downs of the everyday Yugoslav existence, Green speaks to both the positive and negative aspects of the contemporary phenomenon known as "Yugo-nostalgia." The pros and cons of the American and Yugoslav societies fly to and fro during Surya's conversations with a host of colorful characters--some of whom she lodges with and travels the countryside with, others of whom she dates. In this strange Big Brotherish country of perplexing language, culture, and customs--which gives Surya an early experience of living a monitored life without privacy in a land where paranoia is contagious--more than once readers will hear her sobbing at night. Ultimately, the Yugoslav social experiment--its plus points, at least--were to give Surya Green a considerably altered view of the American values with which she was raised. And it is what led to that perspective--a personal transformation that started for her in explosive, memorable, life-changing 1968 in Tito's Yugoslavia, and continues to this day--which makes Once Upon a Yugoslavia such a unique and remarkable book. Surya Green, who grew up in New York City and received degrees from Stanford University (MA in communications) and Barnard College (BA in American studies) is the author of The Call of the Sun: A Woman's Journey to the Heart of Wisdom (Element Books Ltd., UK, 1997). She has published magazine articles and has led gatherings, given workshops, and spoken on transformational themes in the Netherlands, USA, UK, and India. A member of the Dutch Association of Journalists and the International Federation of Journalists, she has also worked as a professional actress and singer. She lives in Amsterdam, The Netherlands, where she established the nonprofit foundation www.SunConscious.org in 2000.